Home Economy Analysis/Features Valentine’s Day; a hype or a necessity? Valentine’s Day; a hype or a necessity? 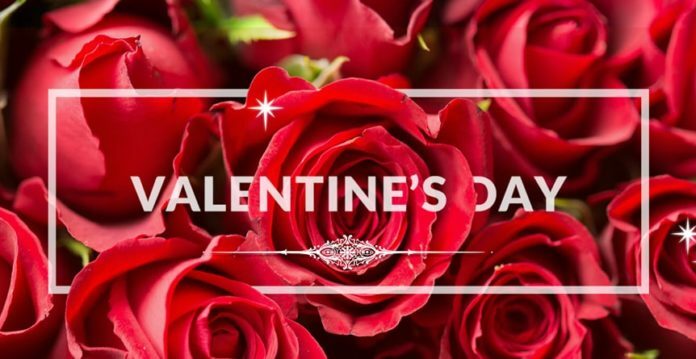 Saint Valentine’s day often referred to as “valentine’s day” or simply “Val’s day” has over the years become an important day for many lovers worldwide. Celebrated on the 14th day of February each year,this celebration of love is believed to have originated from the Roman holiday Lupercalia and dates back to the 5th century.Valentine’s Day is named after a Christian martyr named Saint Valentine and is a day where many people exchange cards,candy,gifts,chocolate or flowers with their special “valentine”. Although the actual truth behind the Valentine story is still unclear,all the stories simply highlight his appeal as a sympathetic,loving and romantic figure. Over the years this day has been celebrated by many lovers and couples whether married or in a relationship. Although the true relevance of this day has been overshadowed somewhat by the immense sexual aura affiliated with the day,the question still remains: Is Valentine’s day a hype or a necessity? In the not too distant past, valentine’s day was celebrated in a soft,quiet and very modest manner. With many couples or lovers spending a substantial amount of time with their “valentine” or lover. This was mainly a setting of intimacy,love,affection,reflections and rejuvenation of broken relationships. Couples would talk over a bottle of wine and some good food at home and exchange small gifts. This way of celebration has recently been modified into a more sophisticated and extravagant show of wealth rather than love. Many lovers are now much more concerned with where their partners will take them on that day.Whether it is a full weekend in a luxurious hotel or resort or a fully packed package of a candle light dinner,massage and partying,the main focus has gradually shifted from the show of love to the show of wealth. This is further augmented by the wrong notion that the lavish spending actually proves the worth of love. Moreover,expensive gifts varying from giant teddy bears to fancy cars and jewellery are now the main side attractions of this day. Failure by one to provide these things poses a great threat to his or her relationship. Many people argue that this trend is not binding and that many people actually still spend valentine’s day in the old-fashioned yet very modest way. The fact of the matter is,do we actually need this day? If yes, is it necessary to go through the stress and strain just to match up to changing trends even if you cannot afford it? Is it really necessary? Can’t we show love without all of the noise and spending? A lot more believe that valentine’s day is now a mere hype which is just a day’s show of spending and lavishness after which several relationships break anyways.The challenge here is being able to draw a fine line between showing love and spoiling your lover with gifts. It is true that the lavish spending can be a true show of love. However,it is also true that the spending can also be a show of nothing or an attempt to please your partner,his/her family and friends.What plans have you made for valentine’s day? Whatever way one chooses to express love,the mind-blowing question still remains unanswered;IS VALENTINE’S DAY A HYPE OR A NECESSITY?